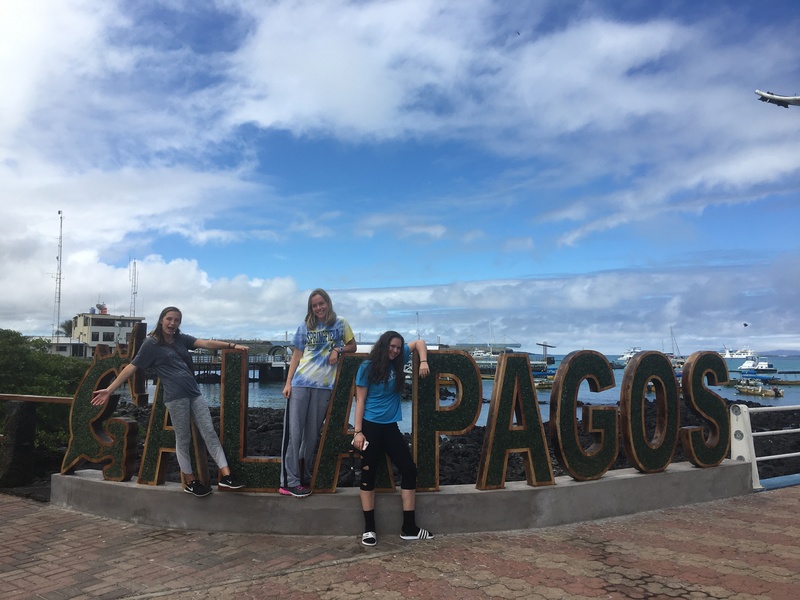 This past summer I went on a service trip to the Galapagos Islands, but also spent a few days in Ecuador immersing oursleves in the city’s culture and daily routines. Primarily throughout this trip we focused on climate conservation and contributing what we could to missions devoted to helping endangered animals. In a group of 20 students, coming together from places all around America, we traveled between many of the Galapagos Islands: Santa Cruz, Isabella, San Cristobal, and Baltra. While we were in Isabella, our group worked with a few locals, Gustavo and Angel, clearing our enclosures for the endangered tourtise. For 3 days, we worked for around 5 hours uprooting weeds and harmful plants to the tourtise. Once we had successfully cleared the plants from those enclosures, we began work on the top of a hill cutting down bigger trees. We were clearing these trees so we were able to plant trees that would better contribute to the environment. Afer Isabella, we went to San Cristobal and worked to fix up a school for a day. While we were there we painted and cleaned their entire school, and we able to spend some times with the children. 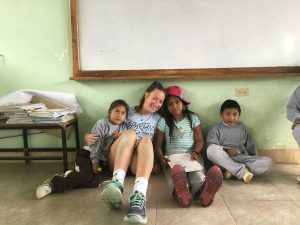 This experience was very heart warming for me because were only 7 children in the entire school, and they have very simple days. So being there and seeing them enjoy them selves just by playing a soccer game for example, was very rewarding. This entry was posted in Uncategorized by 19howell2. Bookmark the permalink.